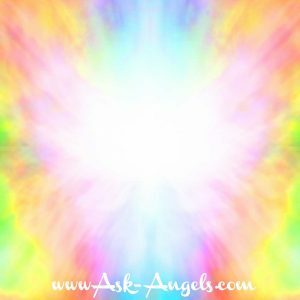 A channeled meditation with the Angels recorded just for you! Through the power of love and an open heart you have everything you need to access the infinite love, guidance, and wisdom of the angelic and spiritual realms. I am happy to share with you this free Heart Meditation with the Angels of the Light. Connect with the love and vibration of your Angels, and Master Guides and Teachers. Relax, and breathe as you listen to this powerful meditation with Saint Germaine and Archangel Metatron. Simply click the play button or link below to listen or right click (ctrl click mac, press and hold tablet) to download to your computer. Wishing you incredible blessings of light and well being on your path! P.S. Love truly is the most powerful force in The Universe and offers you the key to unlocking the secrets of the Law of Attraction, manifestation and living a joy filled, fulfilled life. As you fill yourself up with love energy with these love meditations, you will be able to overflow your love and light to the world and you will also attract more love and light into your life because like-attracts-like. Are you ready to experience more love in your life? Want More Love Meditations? Click Here to learn how you can get four of my best selling Love Meditations, now. Remember that taking time to meditate daily is the best way to get more from your meditation practice and to experience more spiritual growth, more quickly! Hy I was in a dark whole then an angel was singing then i was encircled by a dragon like creature and lifted out into a burst of light which ingulfed everything setting me free, was very uplifting and enlightening. Very cool. Thank you for this loving meditation. I’m currently in the “zone,” and feel embraced, content, and I do feel as if I’m in a higher vibrational level. My body seems to be humming, tingling, and heating up. I’m so relaxed, yet energetic. I want to keep hold of this feeling. Again, I lovingly thank you! Thank you for this beautiful meditation! I have always had a problem shutting my brain off. I ask you all my Beautiful Angels to help me just listen and think of you! Thank you Melanie for your magnificent and beautiful meditation and messages from the angels. Thank you Melanie for the most calming & very peaceful & enlightening meditation! Thank you so much Melanie for this all inspiring heart open meditation. Love & Light! May I share this on my Angel Channel Movie Facebook page? If so, how can I accomplish that? Thank you a million times for your exquisite work! Thank you very much for this blessed meditation. I’m in peace. Thanks. I am so depressed because of the way things are going with me, things are not working smoothly, is rising and falling in my carrier. I have used your meditation before.tonight i felt very emotional and released tears during meditation is this normal? I recently lost my love of my life and he was very spiritual. Since he passed I have experienced some profound things. I know the way now and your meditation has allowed me to connect , and last nìght I experienced the most beautifuĺ eye opener listening to your meditation. I can’t wait to connect again. Thank You, Melanie. Love and Peace to all humanity :). Thank you for this most loving and peaceful message that is now in my heart. Thanx Melanie. How can I start seeing the angels? Thank you for this wonderful message. I enjoyed it. I felt like an angel was sitting right beside me listening too. Melanie: thank you very much for this beautiful meditation. I want to purchase some of your others but I think I need to wait until I buy a tablet. At present I am working from an I Pad and there are some limits, I think. I know that I will love all your other meditations. Your voice is relaxing and soothing. Thankyou so much Melanie I am getting there slowly with the help from my Angels. I feel so close but yet so far, I will never give up I can see the light and I know its going to happen for me soon. Thankyou for the meditation and your help I am very grateful. How can I find out which angels are looking after me and how can I connect with them. I feel I am on a mission now to find out. Please help.